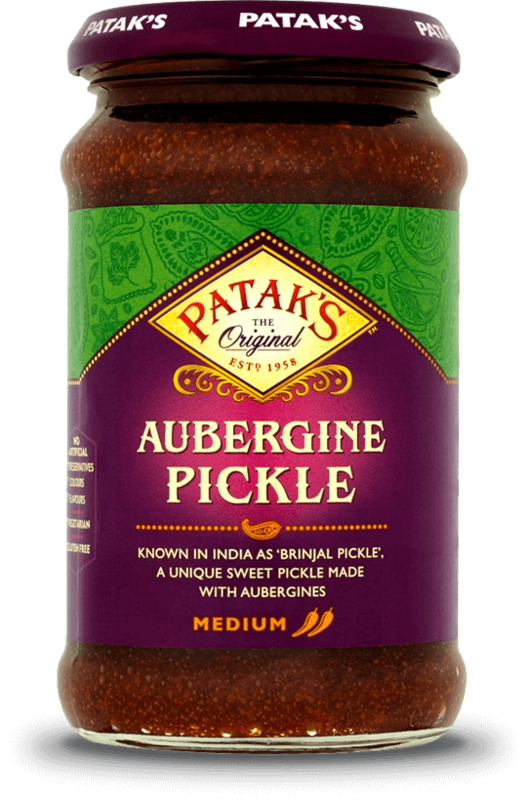 Known in India as "Brinjal Pickle", a unique sweet pickle made with aubergines. This product may contain peanuts and nuts. For allergens, see BOLD ingredients. Sugar, Rapeseed Oil, Aubergines (17%), Water, Ground Spices (4.5%) [Paprika, Spices, Coriander], Salt, Green Chillies (4%), Cracked MUSTARD Seed, Cracked Coriander Seed, Cracked Fenugreek Seed, Garlic Purée, Acid (Acetic Acid), MUSTARD Powder. This is an incredibly easy meal and perfect for those busy weekday evenings. I think this one is great for families as it is incredibly mild. If you are a Korma fan, you are sure to like our Pasanda - you get the same delicately balanced spices, but with a nuttier taste. I have added extra cream and yogurt to this recipe to make it even more indulgent, but you can leave this out if you prefer. A fantastic starter, I have included this in my 'Quick & Easy' Diwali menu, however it makes a great appetiser any time. The wonderful flavours of our Jalfrezi Spice Paste tastes superb with the potatoes and onions.... enjoy! Chickpeas, known as channa, are an essential ingredient in Indian cooking. They have a distinctive nutty flavour and taste absolutely delicious when combined with spices. A great staple for vegetarians and meat-eaters alike, this dish uses wonderfully aromatic flavours such as cardamom, ginger, lime, cumin and coriander - and of course the heady flavours of our Rogan Josh Spice Paste.